Schmitt Heating is a name that has been synonymous with quality and progress in the field of household and commercial heating and cooling, and sheet metal for over 100 years. Now owned and operated by Greg Schmitt, great, great grandson of the original founder, this fifth-generation company continues to provide the same quality of service they have been known for in the San Francisco Bay Area since 1901. Greg Schmitt’s father (George A.) moved the business to the Richmond District in 1966. Greg took over the business in 1994 and now caters to both residential and commercial clients throughout the Bay Area. Schmitt Heating is a company built on tradition while remaining on the cutting edge of technology. We install high-efficiency furnaces, air conditioners, and electronic air cleaners providing energy savings and ultimate indoor comfort. We also install custom sheet metal products for both residential and commercial applications. 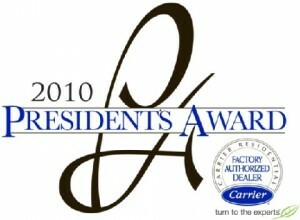 Schmitt is a distinguished winner of the 2010 Carrier President’s Award. The annual award is designed to encourage self-analysis and reward individuals who have excelled in customer relations. Its goal is to support business improvements and show gratitude for their customer loyalty. The award presents the opportunity for recipients to serve as role models, share “best practices” and otherwise offer peer mentoring to help cultivate excellence across the dealer group. President’s Award recipients are businesses that far exceed high expectations, not only as a Carrier dealer, but also as one of our Carrier Factory Authorized Dealers—who are held to an even more exacting set of standards. As of June 9, 2003, Schmitt Heating Company, Inc. earned and has maintained the prestigious Diamond Certified® award. The Diamond Certified award is presented only to Heating and Air Conditioning companies and other local service companies that rate “highest in quality” in a detailed customer satisfaction study of their customers served during the previous four-year period. Each qualifying company must also pass a license, insurance, complaint status, legal and credit rating (for contractors). To maintain Diamond Certification, American Ratings Corporation conducts ongoing customer satisfaction surveys and checks credentials on a regular basis. As a Diamond Certified company, Schmitt Heating Company, Inc. is proud to be recognized for exceptional customer satisfaction and professionalism. 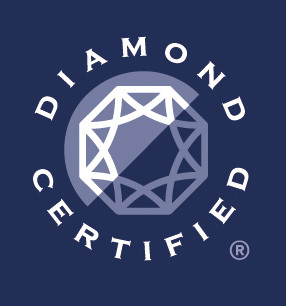 Click here to view our Diamond Certified Capabilities Profile.